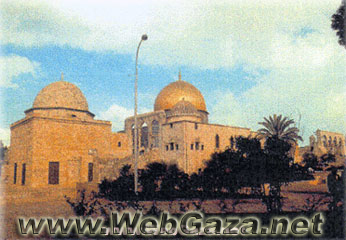 Dome of Musa - Where is The Dome of Musa Located? The Dome of Musa was built by the virtuous king Najm Din son of king Al Kamil in 647 H / 1249-1250 A.D, as it is indicated on the commemorative engraved inscription above its entrance. It was created for the religious leaders to undertake their worship. This dome is constituted of a square-shaped room, upon which a dome is erected. There are many mihrabs inside and outside it. These mihrabs have a simple design. The dome has a northern entrance, and is used nowadays as a Qoranic school.